Polled, red 56% Balancer bull. 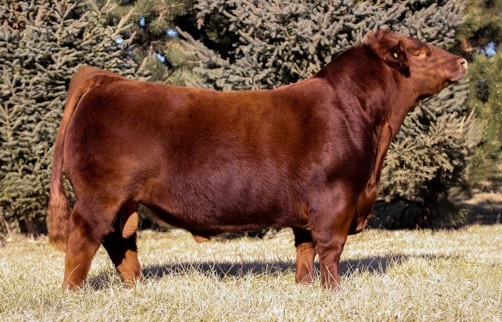 The 2019 National Champion Balancer Bull. Exceptional power, volume, and foot size in a moderate frame with tremendous presence and eye appeal. Encore will sire the heavy weaning calves with growth in the top 10% for weaning and top 25% for yearling weight.